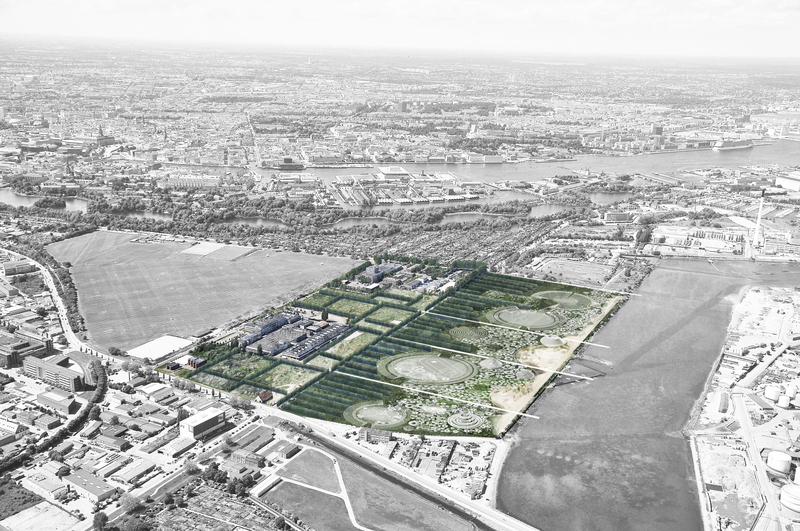 The development strategy for Kløverkvarteret in Amager is based on its former industrial characteristics and the artificial landscape of the soil repository close to Oresund. 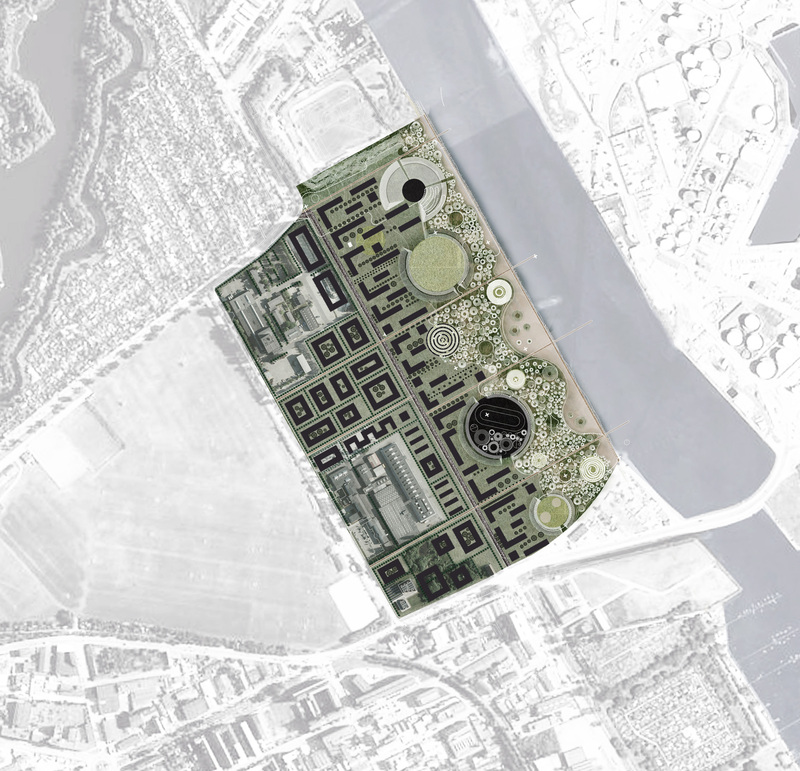 The outlines of a future city are drawn with a gradual refinement, which gives the location its own unique identity and prepares the area for development. 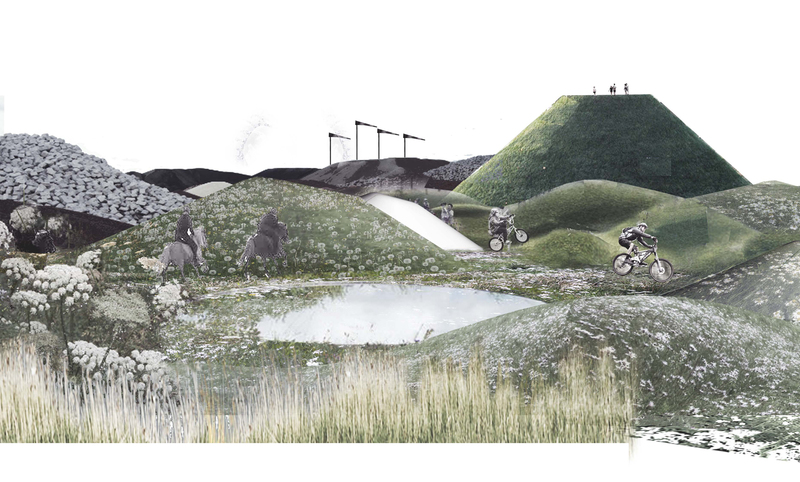 Our vision for Kløverkvarteret is thus, over a period of years, to create a dense and active outdoor urban environment for families with young children, students and residents, who seek the benefits of living close to the city centre. The development strategy takes joint responsibility for the city’s progress, based on a temporary Exploratorium for the mixed city of the future, by creating several new landscapes in the area, each with unique amenities, and testing new temporary ways to live, build and expand in the city. From innovative student housing to vibrant cultural events and creative entrepreneurship. 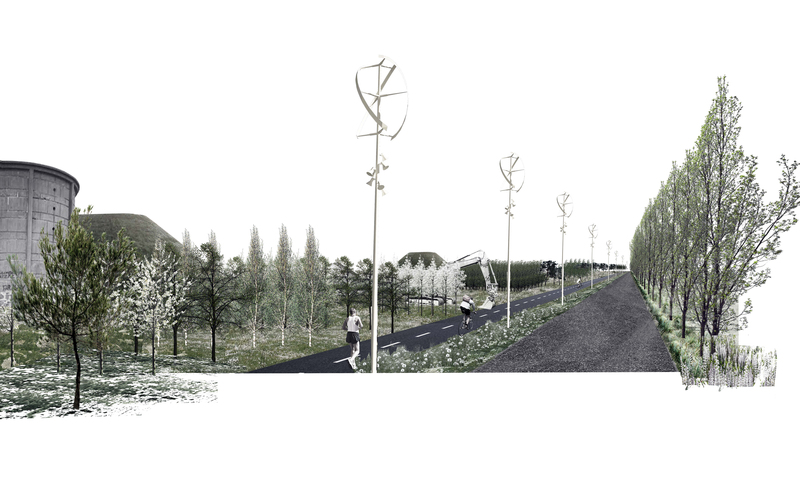 A dynamic framework for the development of Kløverkvarteret, which, over time, will evolve from temporary initiatives and prototypes concerning the active city of the future, into long lasting solutions for the city’s growing challenges regarding housing, climate and health problems. As a starting point there will be a site preparation of the area where soil repository will serve as the basis for a new sustainable landscape, which seals up the area’s contaminated soil. In this way, the challenges of pollution are solved, and the area sees an enhancement to its local natural amenities before the actual city development begins.